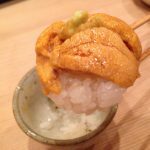 Fushikino (ふしきの) is a small kaiseki style Japanese restaurant in Kagurazaka, which is an old city once famous as a geisha place. 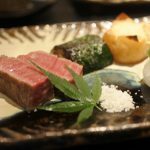 Today Kagurazaka has reputation of gastronomic place. 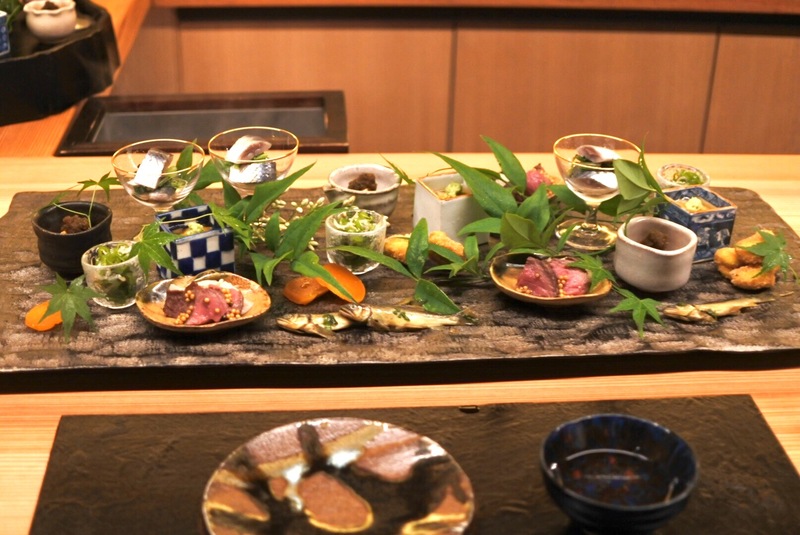 Assorted appetizers called “hassun(八寸)” for 3 people. 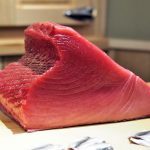 This restaurant opened in 2011 and earned one star from Michelin Guide. 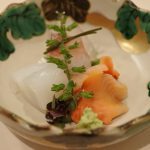 Course menu with 8-10 dishes is served with fine Japanese sake. 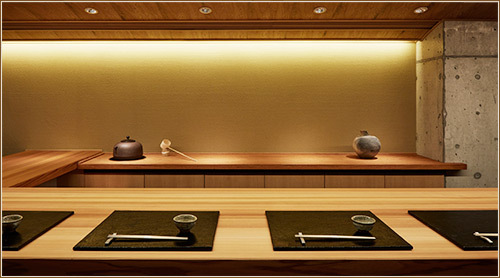 Course menu is provided at JPY12,000 and the sake pairing at JPY4,000. The owner, Mr. Yusuke Miyashita, is a master of sake. 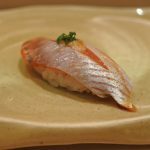 He carefully selects the best matched sake for each dish. 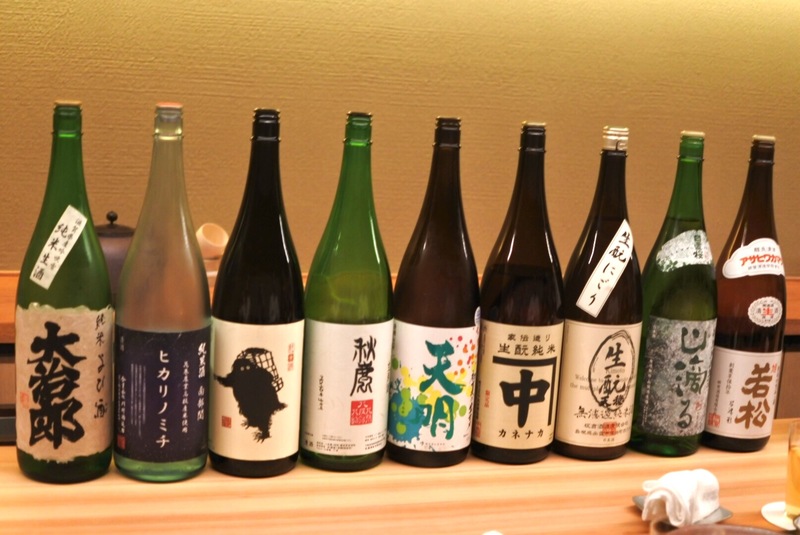 You can enjoy a wide variety of sake taste. The owner chef showed all the sake which were served for today’s course. 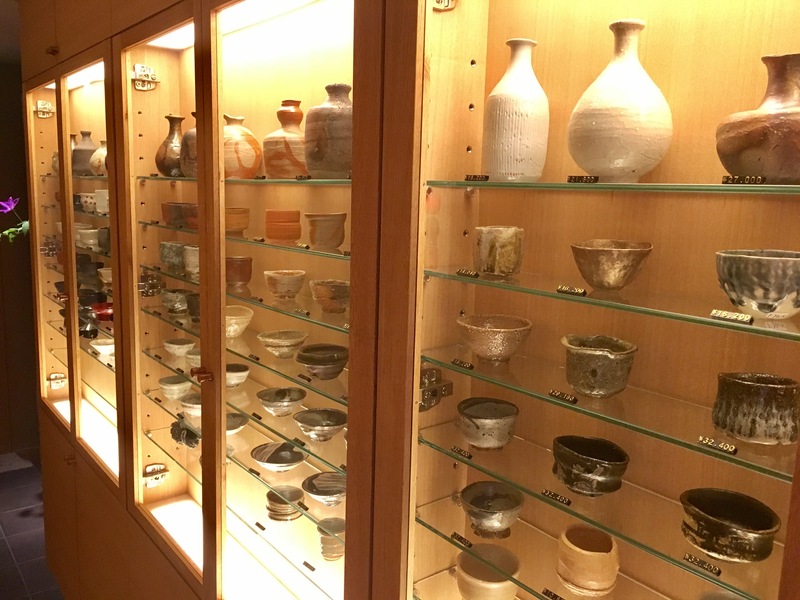 This restaurant has a small gallery of Japanese pottery in the same place. Guests can buy the pottery if they like it.